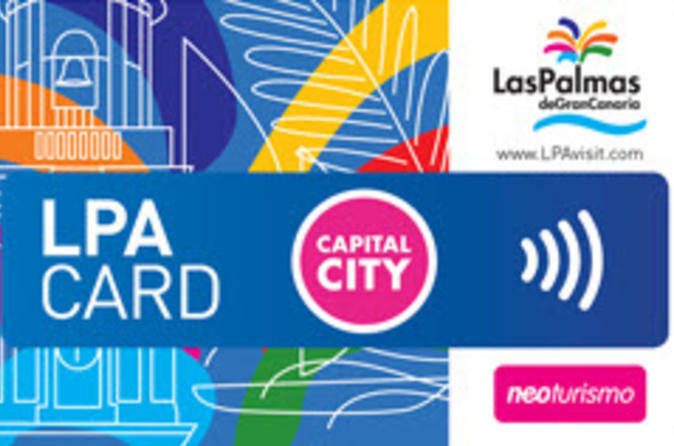 Maximize your time in Las Palmas, the Canary Islands’ largest city, with the Las Palmas Card. Take advantage of cash-free entry to the city’s most-popular attractions, including Catedral de Santa Ana, Museo Canario and Casa de Colón, a museum dedicated to Sir Christopher Columbus. Plus, receive additional discounts in select city bars, shops and restaurants. Your card is valid for 24 hours from the time of first use and includes a complimentary guidebook to help you plan your time in Las Palmas. From a conveniently located redemption point, you’ll collect your Las Palmas Card and start exploring the Canary Islands’ largest city. Relish cash-free entry to popular attractions such as Casa de Colón — a museum dedicated to the life of Christopher Columbus — and the Catedral de Santa Ana. In additional to saving money at top attractions, you’ll receive discounts on meals and drinks at select restaurants, bars and Las Palmas stores. See the Itinerary for a full list of attractions and activities covered by the Las Palmas Card.